Arsenal manager Unai Emery has received big praise from Manchester United playmaker Juan Mata just shortly after transfer gossip linking him as a target for his old boss. 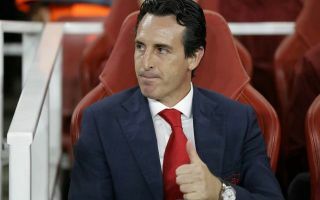 Mata and Emery were together at Valencia earlier in their careers, and the Red Devils star has been quoted as explaining what he thinks is special about the man who replaced Arsene Wenger at the Emirates Stadium this summer. ‘I think what’s special about Unai is the way he communicates,’ Mata is quoted in the Daily Star. It’s worth noting that Mata was linked just a few days ago as a target for Arsenal in a report from the Daily Star, with the deal making sense for all parties involved. The 30-year-old has not been a regular at Old Trafford under Jose Mourinho and would make perfect sense for the Gunners as a replacement for Aaron Ramsey. As noted by BBC Sport recently, Ramsey is looking set to leave Arsenal at the end of his contract as talks have broken down over renewing his deal in north London. Any Arsenal fans who are keen on a move for Mata will surely be encouraged to see the Spaniard still clearly rates his old manager highly.